This book contains valuable information about the firearm laws of all 50 states, Canada and Mexico. This helps you prepare, carry and transport your firearms lawfully and is a must for all gun owners! SKU: BK-50LAWS-001. Tags: Book, Gun Book, Gun Laws, Law book. UPDATED FOR 2018!! This book contains valuable information about the firearm laws of all 50 states, Canada, Mexico and how you should prepare, carry, and transport your weapons during local, intrastate, and interstate travel. STAY ON THE ROAD AND OUT OF JAIL!! 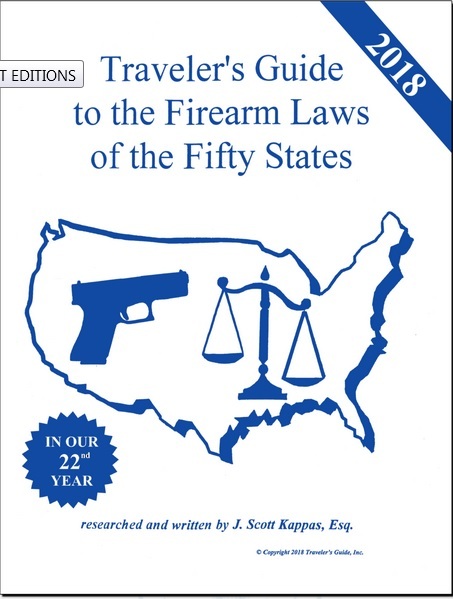 This book presents a state by state breakdown of firearms ownership, semi-auto gun ownership, machine gun ownership, castle doctrine, right to protect, open carry, concealed carry, state park, national park, permit reciprocity, shall issue, loaded vs. unloaded, interstate transport restrictions, traffic stops, universal restricted areas, motorcycle issues, commercial trucker regulations, motorhome and RV issues, public transportation carry laws, and preemptive local laws–plus much more valuable information.